Is your bronchitis turning into pneumonia? There are number of diseases that come around every winter season. Pneumonia occurs due to viruses, but sometimes it can also be caused by bacteria. In bronchitis, mucus membrane in the lungs bronchial passages gets inflamed. Bronchitis may turn into pneumonia if it is not taken care of and left untreated. Winter is coming! And like every year there are number of diseases that come around every winter season. Two most common problems that people complain of during the months of winter are bronchitis and pneumonia. Pneumonia is an inflammatory condition of the lungs and respiratory system in which microscopic air-filled sacs in the lungs become inflamed and flooded with fluid. In most cases, the infection is viral in origin, but sometimes it can also be caused by bacteria. Whereas bronchitis is a respiratory condition in which mucus membrane in the lungs bronchial passages gets inflamed. There is no scientific study to prove that bronchitis turns into pneumonia. But experts say they have seen or treated cases, where the condition that is caused by bacteria and results in inflammation of the lining of the bronchial tubes, which can eventually turn into pneumonia. However, it only occurs in cases where the bronchitis is not treated and the bacteria multiplies. As mentioned above, bronchitis is caused by bacteria, which results in inflammation in the lining of the bronchial tubes. As a result, these tubes get constricted causing difficulty in breathing. The condition is highly contagious and can affect the sufferer for up to two weeks. And, if you are someone who smokes, you may suffer the condition for months and may have to deal with chronic bronchitis onset. 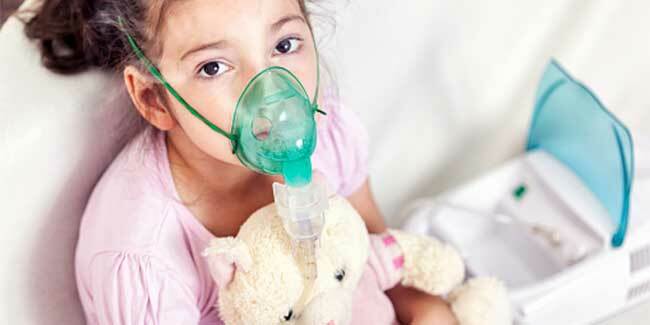 Pneumonia is considered a severe respiratory disorder and can affect people of any age. However, it is found to be more common in young children and people who are over the age of 60. The hallmark signs of the condition are chest pain, a cough that typically brings up phlegm, a high fever, chills and trouble breathing. Bronchitis may turn into Pneumonia if it is not taken care of and left untreated. The risk of bronchitis turning into pnenmonia is more in people who have weak immune system. For individuals, whose bronchitis turn into pneumonia, the bacteria multiply and the immune system is unable to fight it off without help. Therefore, the condition worsens within the individual, and medical intervention becomes necessary. Pneumonia can develop at a variety of levels of severity. How to prevent bronchitis turning into Pneumonia? Addressing the symptoms of both bronchitis and pneumonia at right time makes a big difference in avoiding the onset of pneumonia. Therefore, keep track of symptoms and visit a doctor for bronchitis that is longer than one week. If you have prolonged case of bronchitis, your doctor will prescribe you antibiotics. You may also be recommended an inhaler or other medications if you have asthma or severe allergies. In case of chronic bronchitis, pulmonary rehabilitation may help. This therapy is done to improve the use of patient’s lung capacity, making it easier to breathe and exercise productively. Consider adding a humidifier to your home if you have bronchitis problem. Warm air that is moist rather than dry helps lessen cough issues. Another important tip to keep in mind before stepping outdoors is to keep face mask handy as exposure to lung irritants, like paint fumes, cleaner fumes or even smoke may worsen your symptoms. How does one prevent Pneumonia?